WITS has developed a series of well-defined products and packaged services that are designed to be implemented quickly and at a fixed cost. These products and packages are delivered with the idea of providing a working solution as a “Proof of Concept” or can be implemented “out-of-the-box” with additional functionality into a more sophisticated production system. 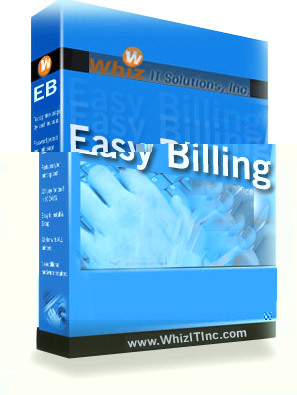 Billing software for your Business - Billing processes are one of the most underrated competitive assets in business. No matter how good your marketing strategy, how obvious customer demand appears, if you can’t bill your customer, you can't go to market with your services. Can your financial infrastructure support quick responses to competitive actions?